Missing teeth are cute in children. It can be a badge of honor for a hockey player. If you are neither, it’s an embarrassment. Traditional (in other words – old fashioned) dentistry made use of a bridge. That meant filing down the teeth on either side and making a false tooth to sit in the middle. There is a much better solution. Find out why now your best choice is getting a dental implant. Strength. We can exert 250 psi when we chew! Jaw Bone Health. The human jawbone is unique in that if is not stimulated, the bone will resorb (be absorbed by the body) and shrink. As you can see from the picture, there are 3 parts to the implant. The bottom is called a post. An abutment which is attached to the post and then topped with a crown. The crown is crafted look like your own tooth. 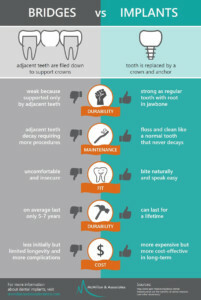 What are the pros and cons of dental bridges and implants? Click to view the infographic full size. What wrong with traditional bridges or partial dentures? Plaque reservoirs. Because adequate daily hygiene is rarely performed, decay at the adjacent teeth is common. Damage to healthy teeth. Adjacent teeth need to be filled down. Poorer fit. Patients often complain of discomfort and insecure fit. Need replacement. Porcelain fracture, decay and complications all happen. 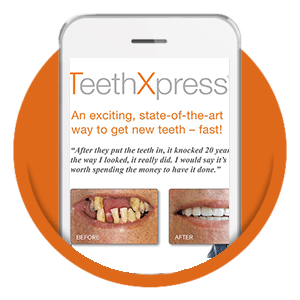 Why is a dental implant the best choice? Keeps you jawbone healthy. It needs stimulation. Best investment you can make for tooth replacement. 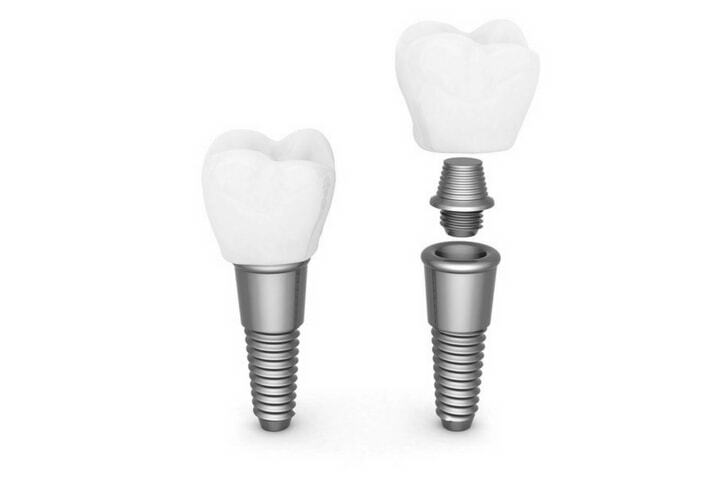 Cost comparison studies conclude that the implant restoration is more cost effective. Bragger U, Krenander P, Lang NP: Economic aspects of single tooth replacement, Clinical Oral Implants Research 16:335–341, 2005. Wouldn’t it be great if you could grow another tooth, like you did when you were a child? With modern dentistry, you can do the next best thing. 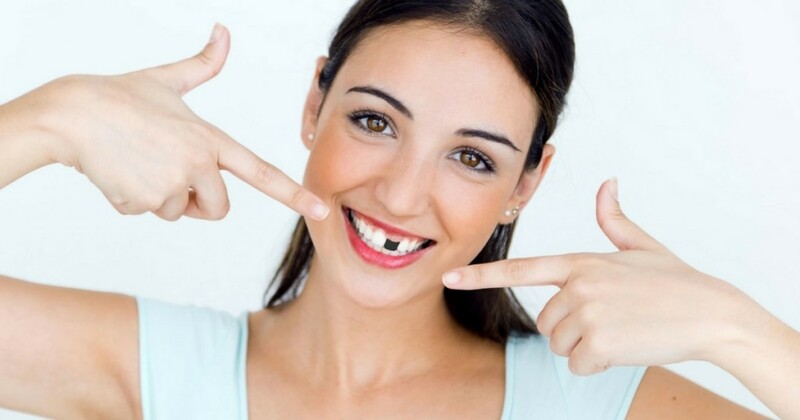 Get your missing tooth permanently replaced with a dental implant. Although the choice may seem obvious, it is best to check with your dentist to see if you qualify for this procedure.